When you consider all the time and creative energy required to produce a quality piece of content, it’s an obvious shame to diminish the value of the published version by failing to take something as essential as the graphics into account. Unfortunately, because of the tricky nature of usage rights, some business owners and bloggers repeatedly make that mistake. Many bloggers stay away from images because they’re uncertain about which pictures they can use and how they may use them. Copyright law and usage rights are admittedly complicated, but you don’t have to understand all the intricacies of case law to swim in these waters. All you need to know are the basic elements of fair use. In the vast majority of cases, American copyright law says you can’t copy, distribute, or use someone else’s copyrighted work without prior permission granted through a license. Sounds pretty complicated, right? Well, it isn’t really. When you cut through the legal lexicon, the principle of fair use is pretty simple. “The purpose and character of the use of the photo you’re using should generally not be used for commercial purposes, and will constitute fair use if you’re using the image for purposes of commentary, criticism, reporting, or teaching,” Nicole Martinez writes for Art Law Journal. If you want to avoid any potential copyright violation and keep your nose clean without worrying about a photographer or graphic designer coming after you, there’s a very easy solution: Only source images from websites and platforms that carry royalty-free images. But you can only find cheesy stock photos on these sites, is what you’re probably thinking. This simply isn’t true, however. Take a look at this blog post from Med Cruise Guide. Scrolling through the images, you’d probably never guess that each one comes from some sort of Creative Commons or royalty-free site. Wikimedia Commons. Did you know that you’re free to use any videos, photos, or audio that’s published on Wikipedia? The Wikimedia Commons serves as the repository for this content. Pixabay. 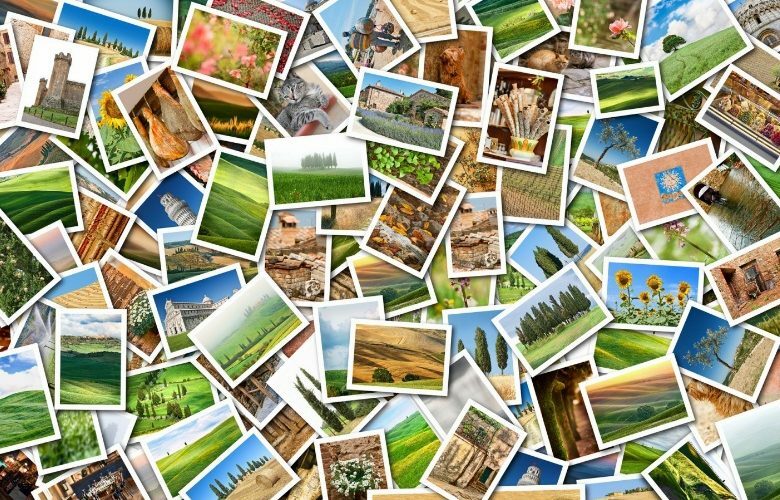 With more than 65,000 photos that can be used gratis for any purpose, Pixabay is a great resource to keep bookmarked in your browser. Images and visuals lift textual content to the next level. It’s time you stopped worrying about usage rights and copyright law and begin using the resources that are readily available at your disposal. Peruse some of the sites highlighted in this article and see what you find.